Quatro Boots: Hardworking footwear for farmers, hunters and oilfield workers. Quatro Boots got their start in the wet, volcanic regions of New Zealand dairy country, where farmers needed to keep their grip on muddy hills. Now this world-famous footwear is available to hardworking dairy farmers, hunters and oil and gas workers here in the United States. From the elasticized top binding designed to keep debris out, right down to the anti-skid zones on the forefoot and heel, Quatro Boots offer the very best in comfort, durability and reliability. Seriously! Which Quatro Boots style is right for you? 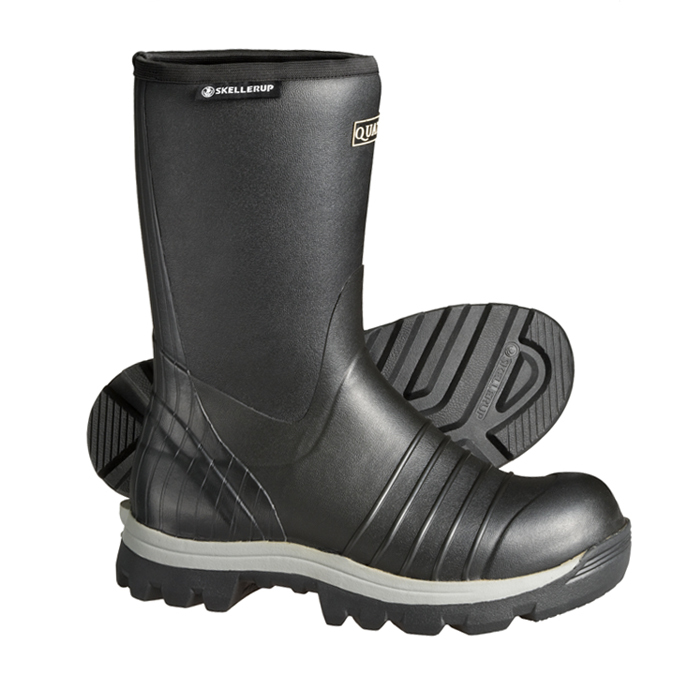 Click here to view a US Size Chart for Quatro Boots. The bottom line? Quatro Boots are serious, high-performance footwear for people serious about all-day comfort.